• 122 Metro cuadrado, 1 bath, 1 bdrm single story – $199,900. 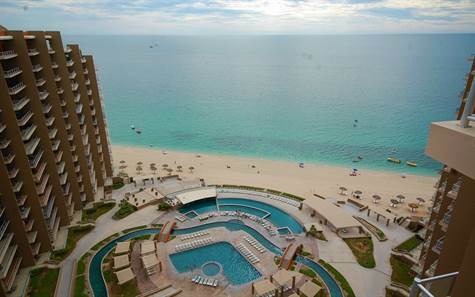 Las Palomas, Sandy Beach – Located in one of the most luxurious resorts on Sandy Beach Cortez 1605 is now for sale is amazing for all the amenities, the lazy river, swim up bar, golf course… the only thing better than staying is owning at Las Palomas, wrap around 1 bedrooom 1 bath condo. The views are amazing. To have one of these condos is something special be it for building memories or rental opportunity.